Garth Brooks is planning to go on a world tour, more than 10 years after he last hit the road. 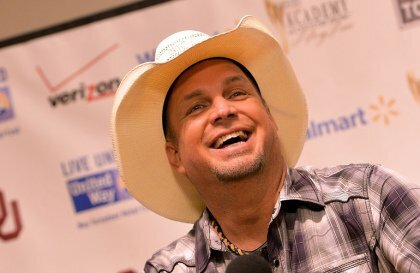 Garth Brooks, 51, retired from recording new music and touring in 2001 so that he could see his three daughters grow up. “My children are off on their own, so the guilt of not being there … I’m a phone-call dad now,” the singer told Good Morning America. Garth Brooks’ hits include The Thunder Rolls and Unanswered Prayers. He has sold more than 125 million albums. “It sure feels good to get to throw your hat back in the ring,” Garth Brooks told GMA. The country star said the tour would take place in 2014 although there was no detail on where it would take him. Garth Brooks, who has sold more than 125 million albums, played occasional concerts during his hiatus but never went on tour. He began performing concerts in Las Vegas in 2009.